Wherein my Blue Opus 88 Koloro (Fine) is paired with Diamine 150th Anniversary Golden Honey. 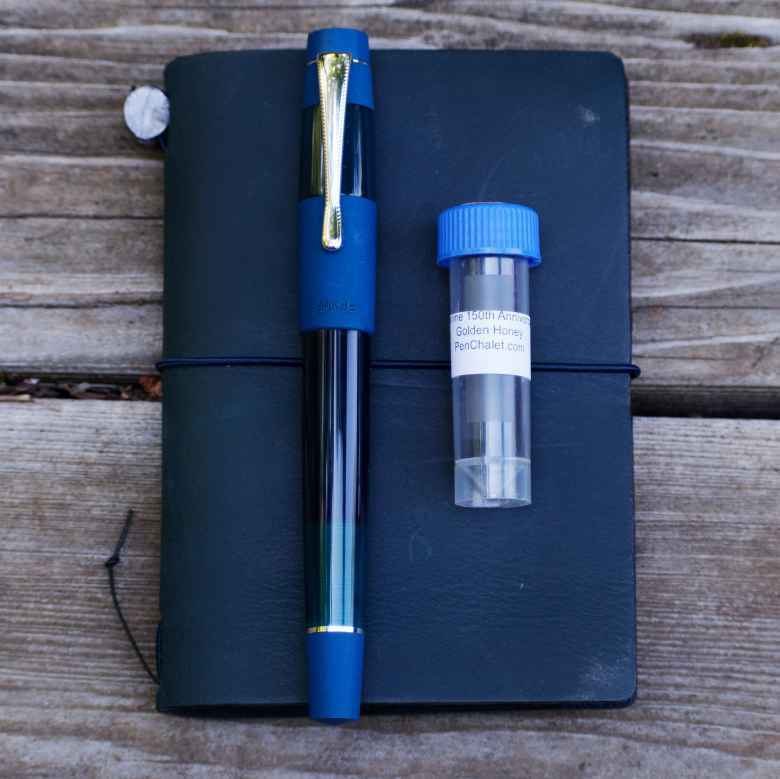 On June 17, 2018 my Blue Opus 88 Koloro (Fine) joined its comrades when it was filled with Diamine 150th Anniversary Golden Honey. This pairing has been in use for 10 months. My kids gave me this Opus 88 Koloro and some ink samples for Father’s Day. My wife was most excited about this particular combination so I obliged her. Orange and blue do go together rather well, afterall.